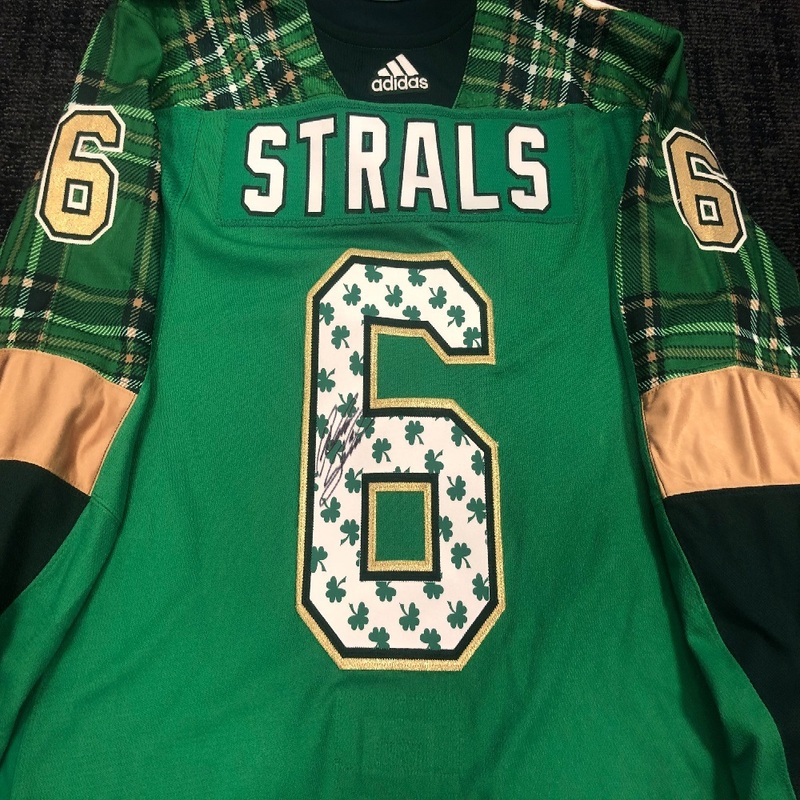 #6 Anton Stralman "Strals" Green St. Patrick's Day signed warm-up nickname jersey. 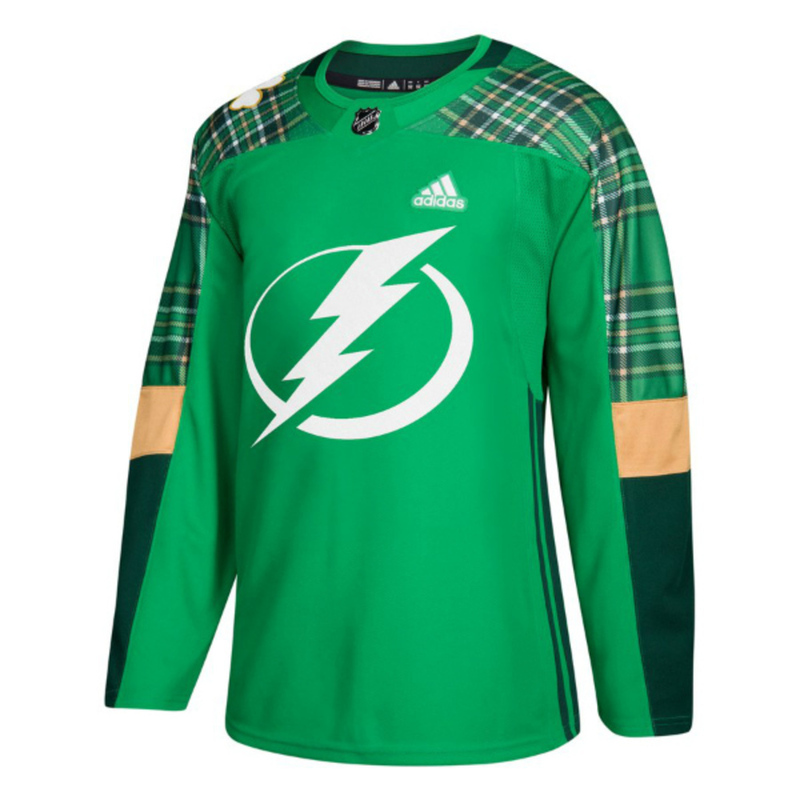 Jersey was issued for to the game between the Tampa Bay Lightning and the Washington Capitals on Saturday, March 16th. Proceeds from the warmup jersey auction will benefit Tampa-area charities through the Lightning Foundation. Size 56. For customer service inquiries, please contact Sarah Costello at email address: SCostello@amaliearena.com.